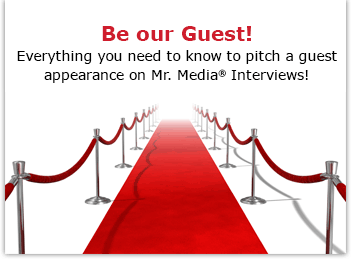 Watch this exclusive Mr. Media interview with Scott McEwen by clicking on the video player above! Mr. Media is recorded live before a studio audience full of unsuspecting target practice dummies – wait, was that supposed to be a secret? Oh, well… in the NEW new media capital of the world… St. Petersburg, Florida! There is a rogue, American-trained sniper tearing up the Mexican countryside – and, more importantly, the country’s political landscape – in Scott McEwen and Thomas Koloniar’s latest Sniper Elite novel, Ghost Sniper. On the surface – hell, the cover illustration is a close-up of an enhanced sniper rifle – you might expect this will be a story that glorifies horrific gun violence. And while the violence is brutal, it isn’t celebrated at all. The fast-moving story is one of good vs. evil and many shades of dirty grey, all of them leading back to the CIA. American Sniper by Chris Kyle with Scott McEwen. Order your copy today by clicking on the book cover above! If you like tales of international espionage and psychological warfare, it’s hard to beat the power of Ghost Sniper. Incidentally, a feature film based on Sniper Elite is currently in the works.